It turns out that I can be a bit of a boss-lady in the kitchen (WHAT?!? 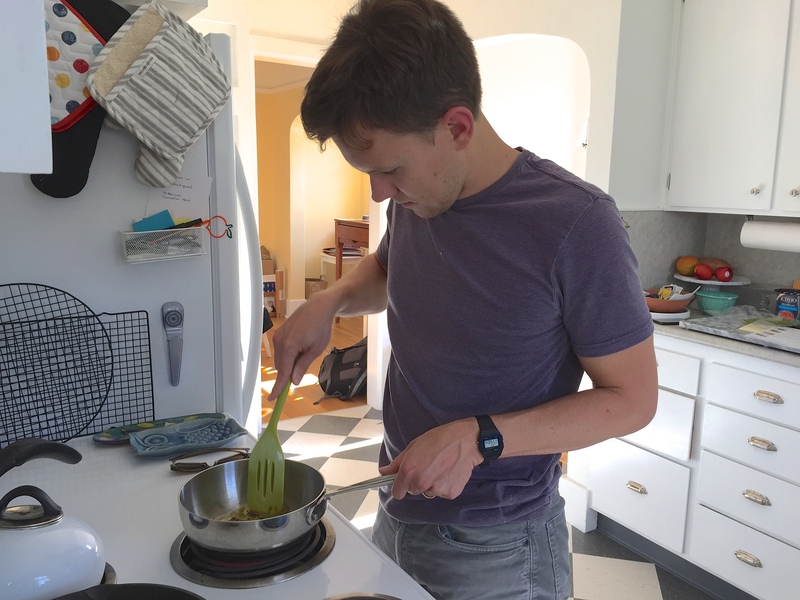 ), so Ben helped me loosen my apron strings by taking on the challenge of cooking most of the recipes entirely on his own. I bit my tongue on Thursday, when he used the incorrect cutting board for the chicken, and again on Sunday, when he put the peeler back in the wrong drawer (I MEAN…the horror), but on the whole it was pretty blissful to sit back and let someone else deal with dinner. As someone who doesn’t do much cooking, Ben found the recipes easy to follow and relatively quick. Best of all, they were tasty! 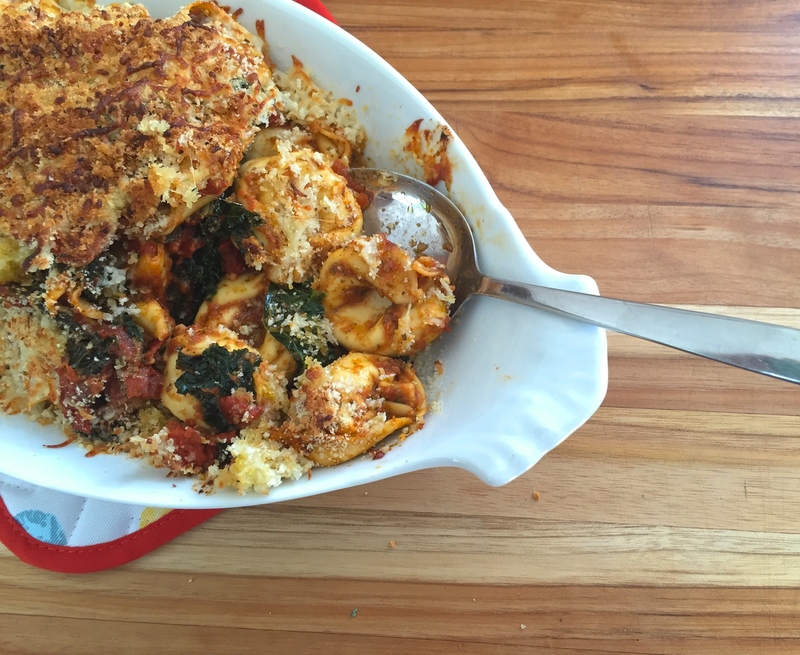 The tortellini dish was meat free, but quite hearty and generously portioned, so it lasted us two meals. The chicken sliders with tangy cole slaw got gobbled up in one sitting, and the Thai beef salad didn’t last long enough to get photographed. Oops. 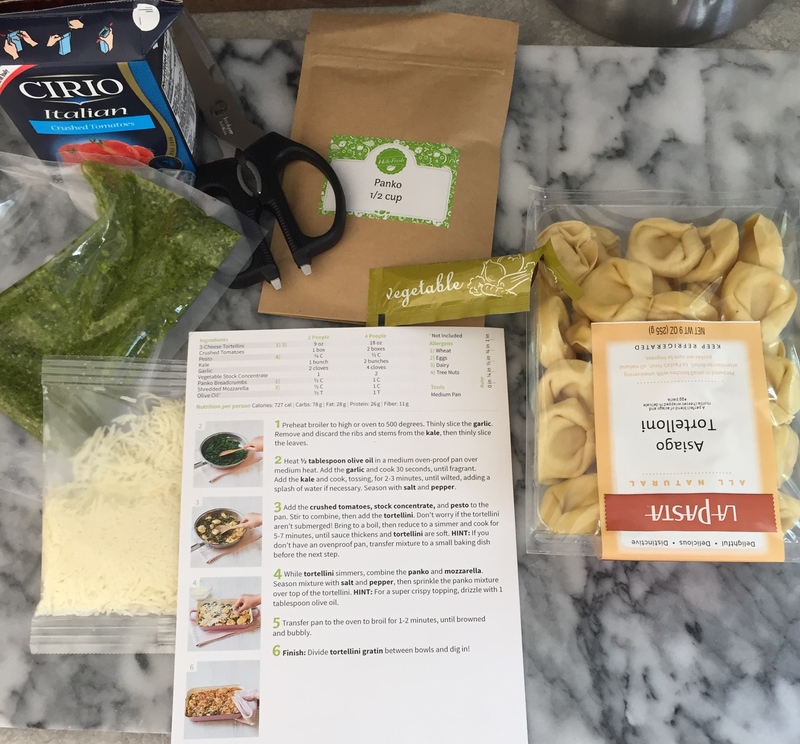 On the whole, I was pretty pleased with our first Hello Fresh meal delivery experience. The meals are simple, nutritious, tasty, and pretty affordable (it comes out to about $10 per person per meal, depending on which box you choose), but I think the best part is the fact that the service takes the uncertainty and guess work out of (often hectic) weeknight dinners. For three nights, we avoided the inevitable, tired question: what’s for dinner? It was nice not having to grocery shop, or worry that I forgot certain ingredients, or feel stuck in a dinnertime rut. My only hesitation about making Hello Fresh a more regular routine in our household is the amount of packaging that one little box seems to contain. 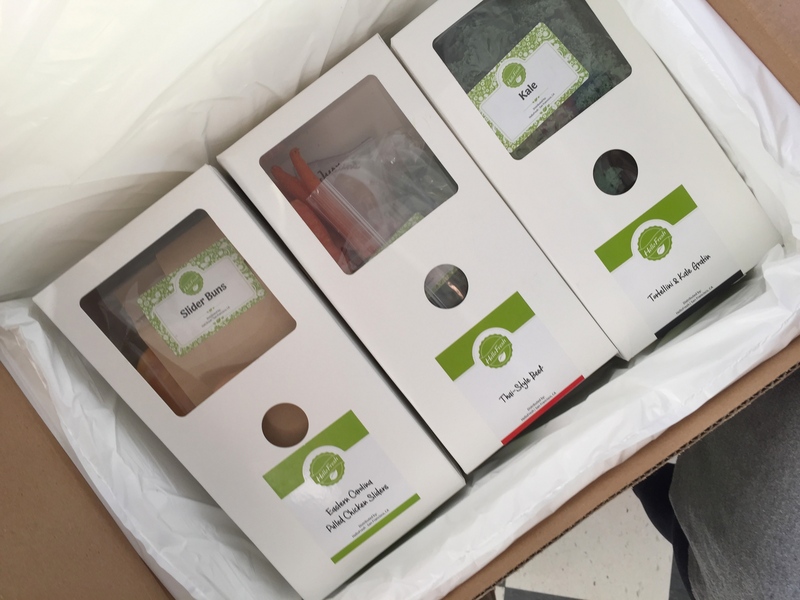 Because on the one hand, it’s helpful to have everything individually wrapped and labeled, and much of the bulky packaging is used to help insulate the box and keep it cool (which is definitely necessary), but on the other hand, I’m tryina keep it green(ish), y’know? What do you guys think? Would you ever try a meal delivery service? 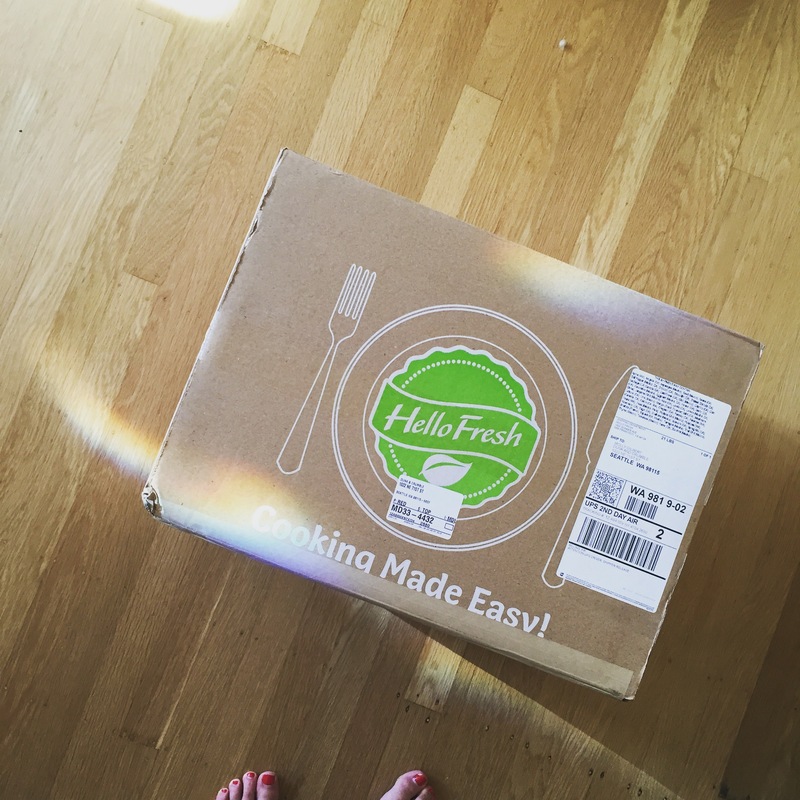 Thanks to Hello Fresh for providing us with a complimentary box to test out. All opinions here are my own. 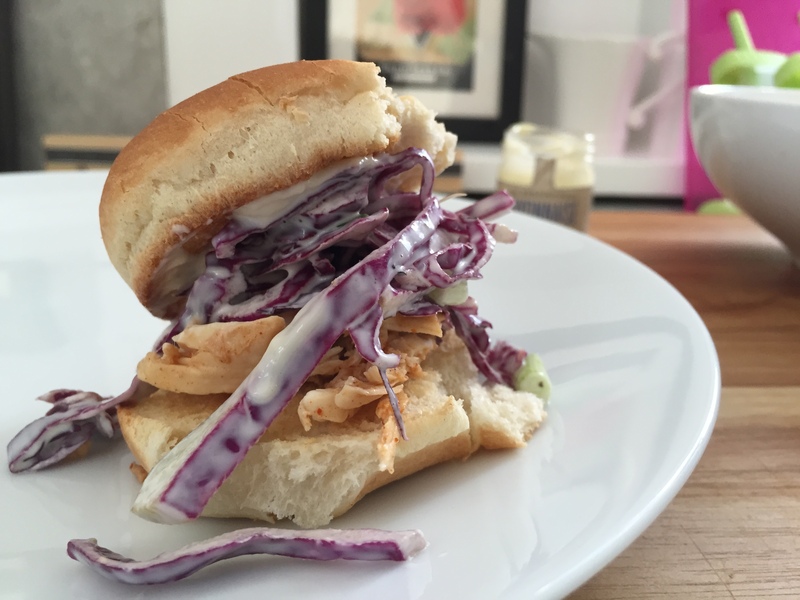 I tried Blue Apron, and didn’t love it. Evan was able to cook everything himself (just like Ben!) and that was really nice, but the portions were really weird (like, one meal could have fed 8 people, and one meal left the two of us hungry), and the meals themselves were sort of weird. I’d try others though, especially when I want Evan to take care of dinner! also tried blue apron, and i found it to be very time-intensive (one recipe required us to make a chicken pot pie from start to finish, and it easily took 3 people an hour to prep it). blue apron used a ton of packaging as well, though i think there was more biodegradable and recyclable container that it appears hello fresh used. Thinking of giving it a try. Thanks! Some nights it’s just too much to go to the grocery store, figure out what to buy, go home make it, clean up, etc. By the way, was flipping thru a new magazine (Rachel Ray, maybe? )and there were pictures of yummy dinners on sheet pans. Yikes, I thought, someone has STOLEN our Molly’s idea! But, wait for it, it was you… Your recipes! I was very excited…yea, YOU!